Here at Kennedy Brothers we will gladly take care of your commercial vehicle whether it servicing, MOT, repair & more. Leave vehicle with us on days off / holidays - fully secure and locked away overnight. Garage open around Easter and Christmas. Free postal / e mail service and Mot reminders - one less thing to worry about remembering. 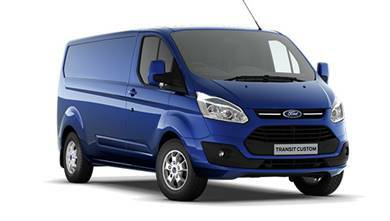 Newer Commercial Vehicles have moved on in technology and when you purchased your vehicle maybe you were told servicing was every two years / 30000 miles (whichever event happens first). This is correct, but did you know you need a CV inter check between services? At £65 + vat, it keeps warranty status validation & 12 months roadside assistance renewal option. Ford latest programme & module updates carried out where available improving vehicle running, performance and efficiency. Free 12 months / 15 000 mile Ford roadside assistance incl. home start covering UK and Europe renewal. 30 point visual health check - lights, levels, brakes, suspension, tyre tread, battery, antifreeze test + much more with printed report given to customer.